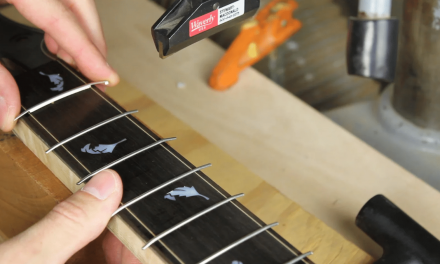 Welcome to a new series on carbon fiber guitar neck reinforcement! 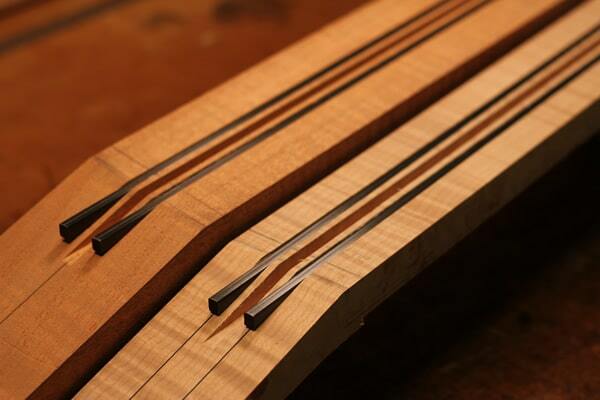 Part 1 – Basics of Carbon Fiber – What it is, how it’s made, applications for luthiers, and more. 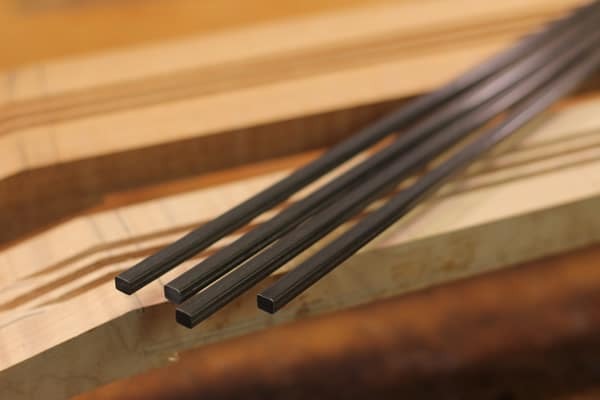 Part 2 – Focused on Carbon Fiber Design how to design your neck reinforcement system and get the most from your carbon fiber neck bars. 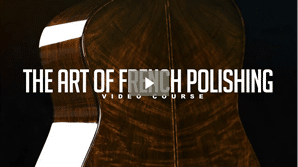 For more information on the Step By step tutorial, 5 part Carbon Fiber Video Course, or Ebook download, visit this link or click the book to the right. 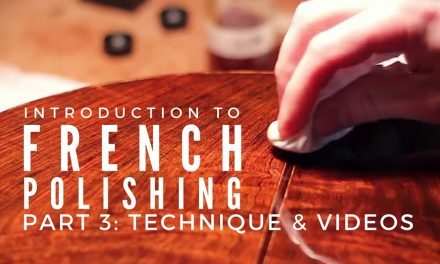 Luthier’s EDGE members can also download the full ebook which is available now, and also watch the included 5 part video course too. 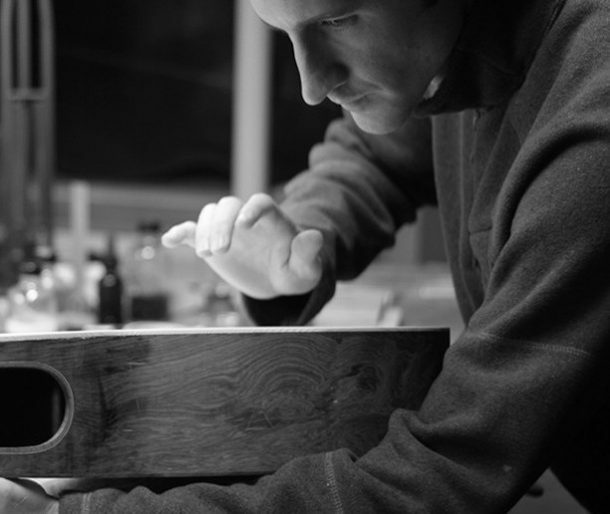 The use of carbon fiber in guitar necks and other parts of the guitar has been growing in popularity over the years and for good reason. 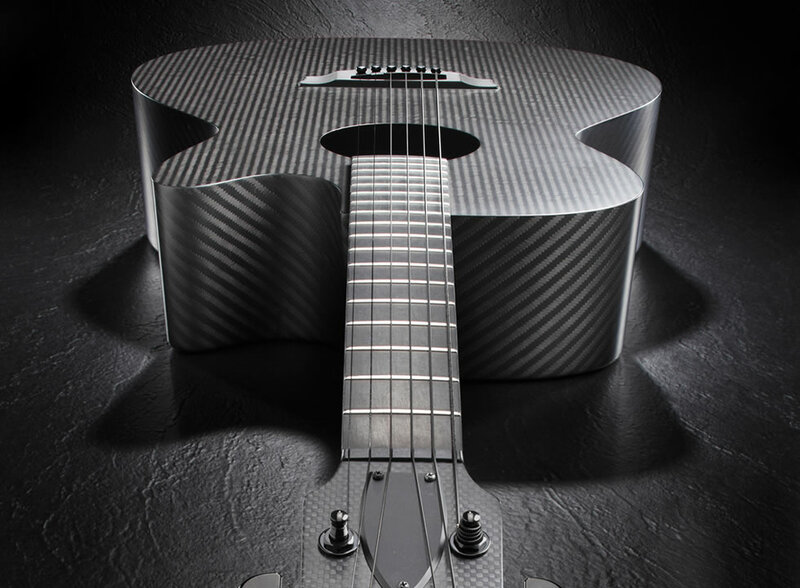 Carbon fiber exhibits some wonderful qualities that lend themselves to the making of fine handmade instrument and can offer the luthier some great options for adding strength and stability without unwanted mass. Some of these great qualities include light weight, great stiffness, resistance to creep, and stability. Carbon fiber (or graphite fiber) consists of carbon atoms combined together in crystals parallel to the long axis. 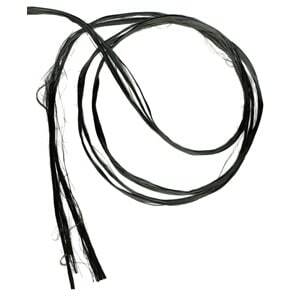 Several thousand carbon fibers are combined to form a Tow (shown in the photo to right) which can be woven into a fabric or used in other ways. The crystalline structure, aligned along the long axis give the material incredible strength for its weight. To me, it sounds crystalline when you touch it and is very resonant which I think has to do with the organized structure of the crystals, but that’s just my hunch. 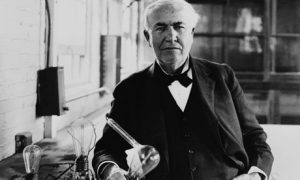 I have also been fascinated by the electrical and heat conduction properties that carbon fiber possesses as well, but that’s for another day. 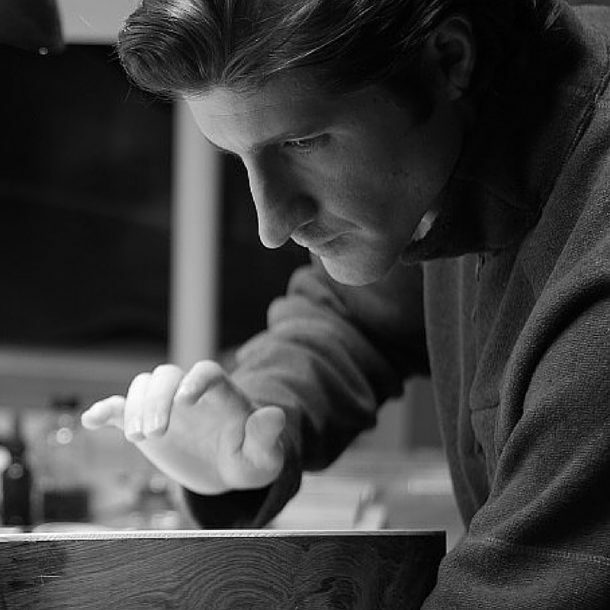 When I am using any material I like to know a little bit about it, how it’s made, which we discussed above, and also some background. I feel it helps me to improve my intuitive understanding of it which comes in handy to guide me as I’m working with it and experimenting with different ways to incorporate it into my designs. So here’s just a bit of background that I found interesting. It wasn’t until the 1960’s though that the process and technology were able to create the material pure enough to take advantage of the amazing high strength to weight ratio of carbon fiber. Rolls-Royce was one of the first companies to begin using it for their propeller blades. 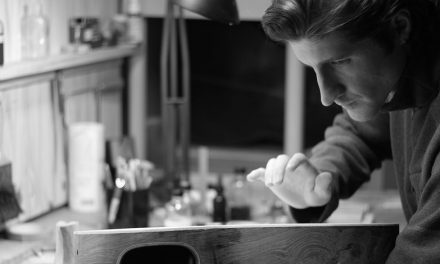 From there, the material was further refined and went on to be used many specialized and amazing applications such as fine musical instruments. 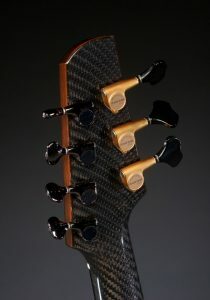 In this article and tutorial series however, we will be focusing on how to harness the high strength, stability, and light weight of carbon fiber in order to strengthen and stabilize the guitar neck. The type I use is from Stew Mac, but I have also used the Carbon fiber from LMI with great results as well. Those two companies offer the convenience of buying it the most applicable size and lengths, but if you look around online you can also find many other sources and for larger quantities you can even have some custom made to your own specs. I find that for my purposes the carbon fiber bars from Stew Mac and their (quantity discount) is a good fit for my needs and my process. Get All 5 Videos & The eBook Tutorial! 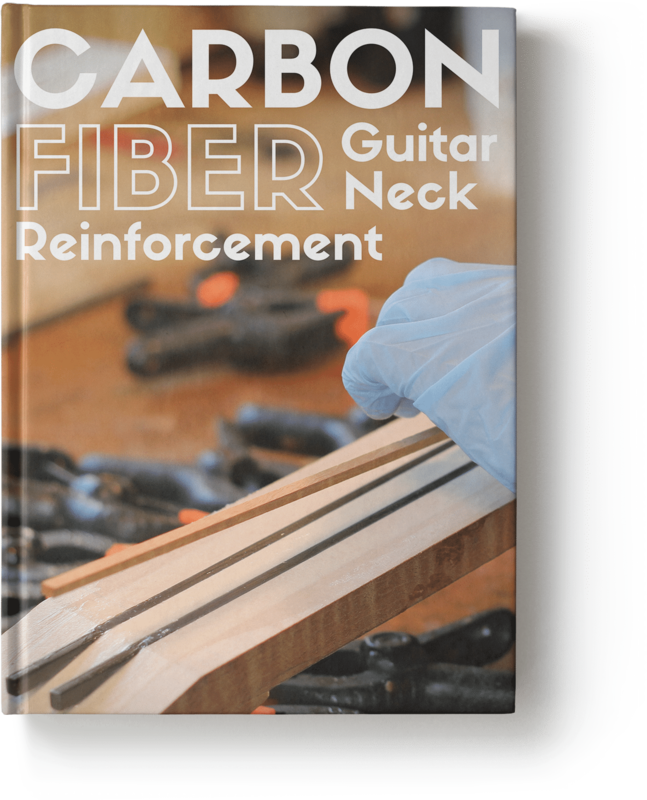 In this eBook & Video Tutorial, “Carbon Fiber Guitar Neck Reinforcement” master luthier Tom Bills shares his insights, experience, and step by step approach to effectively using carbon fiber to make stronger and more stable guitar necks.